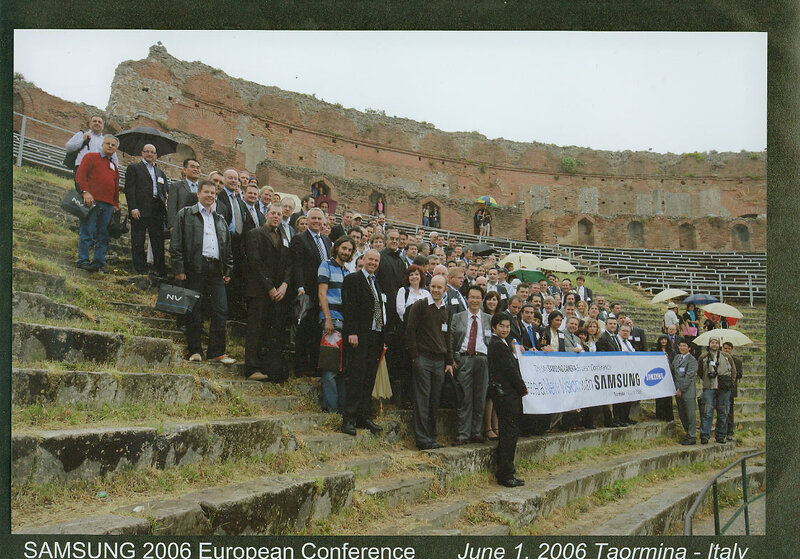 Samsung’s 2006 European Press Launch was held in Taormina Mare, Sicily. 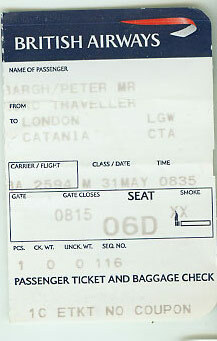 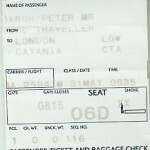 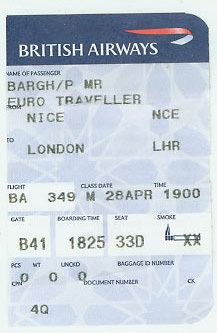 We flew from Gatwick to Catania on BA2594 Seat 06D and stayed at Caperena Via Nazionale 189 Taormina (Messina). 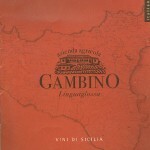 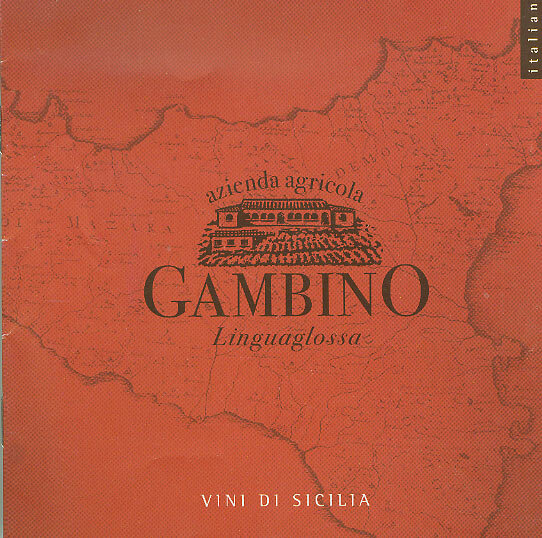 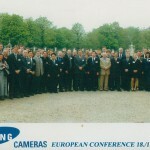 The international press conference was held at Grand Hotel Timeo and a Gala Dinner at Septimo Restaurant. 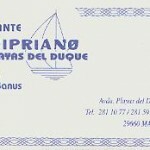 We had a good night on the beach by the hotel. 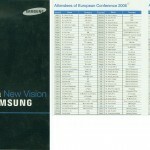 Samsung’s 2005 European Press Launch was held in Krakow, Poland. 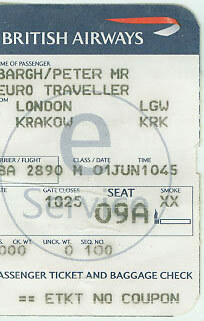 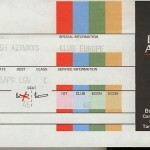 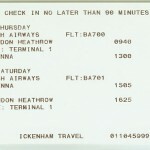 We flew on BA2890 from London Gatwick to Krakow. 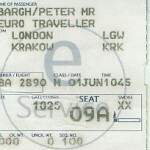 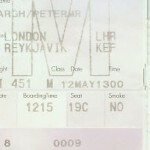 I was in Seat 09A. 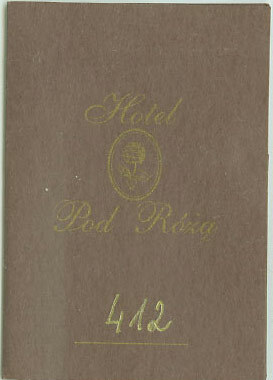 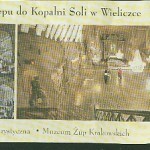 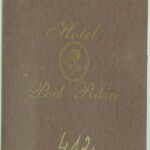 Our hotel was Pod Roza Hotel, Florianska 14, Krakow. 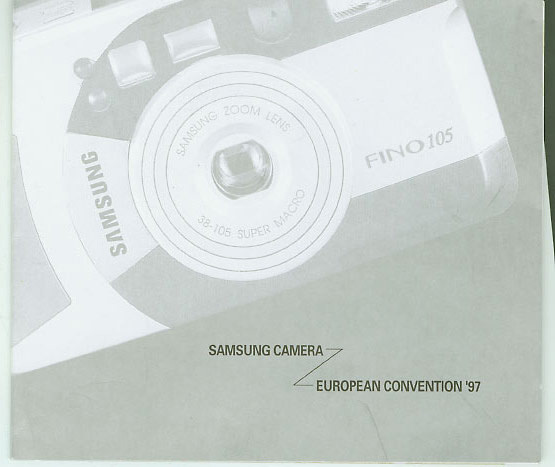 Samsung launched the Samsung 350SE at their European convention in Vienna. 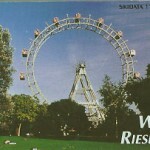 We visited Schoenbrunn Palace and Heurigen. 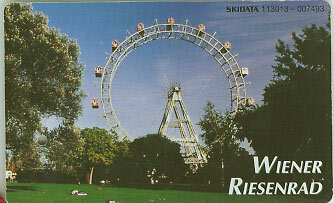 I also went on the Wiener Riesenrad (Vienna’s Giant Ferris Wheel) with Gary and one of the Koreans. 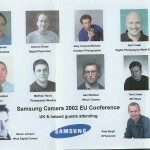 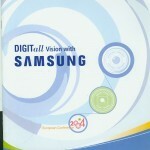 Up at 4.00am to go on Samsung ‘s 2000 European Conference centred around the launch of the Samsung Digimax 210SE. 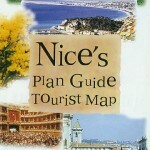 One of the events was a photographic rally around Nice. 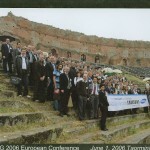 and the convention was in Centro Cultural de Belem. 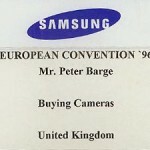 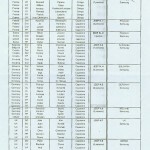 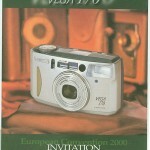 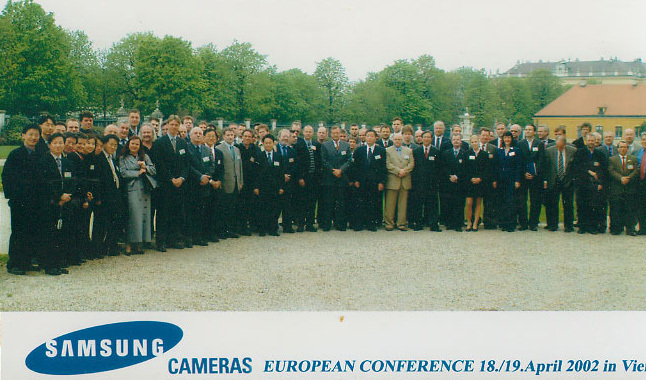 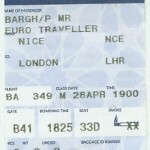 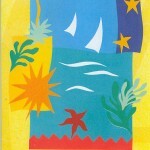 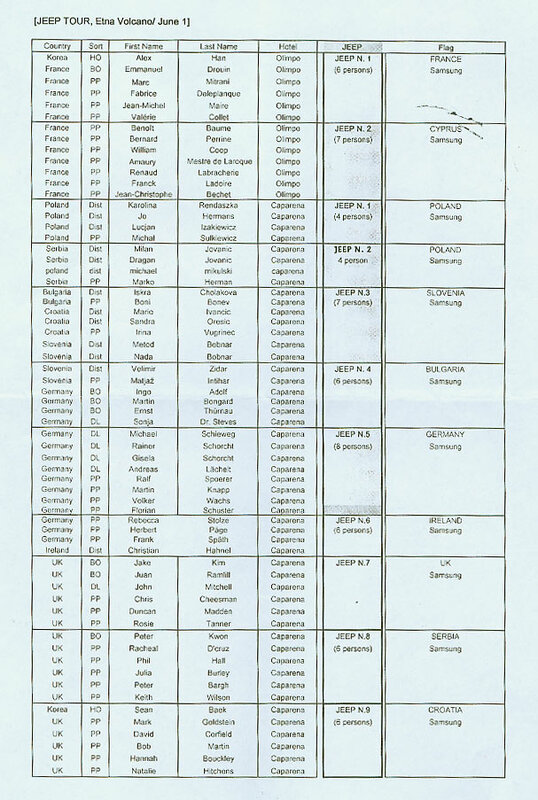 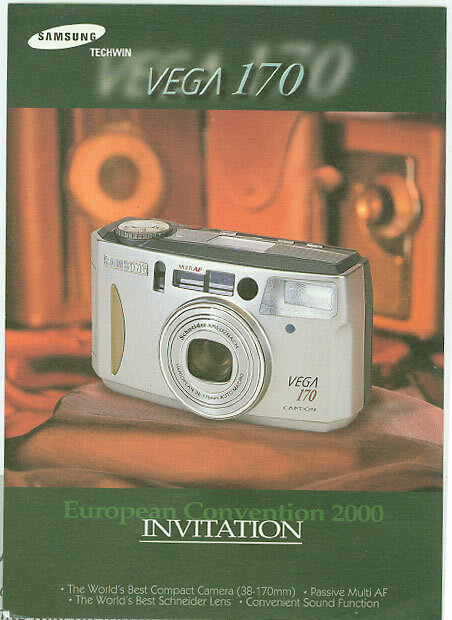 Samsung’s European Convention 1996 was to Marbella in Spain. 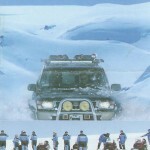 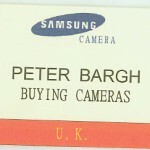 I attended as editor of Buying Cameras magazine. 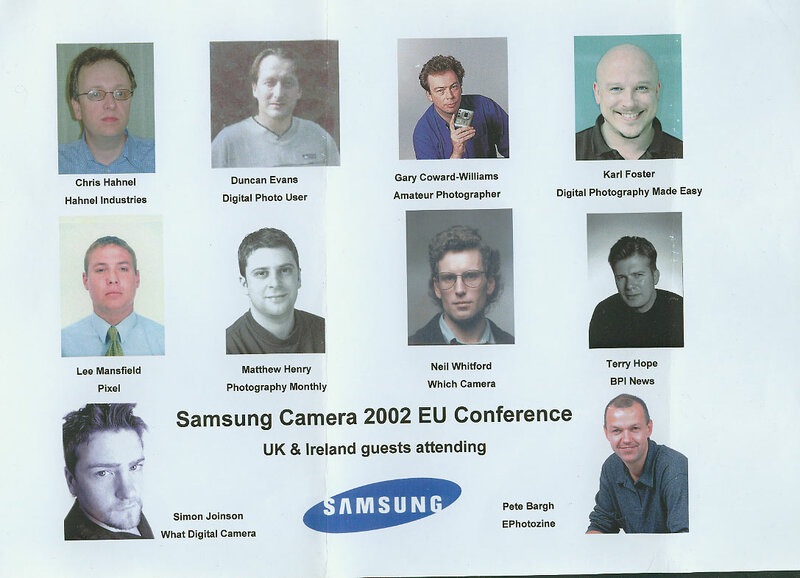 It was the famous trip of Prairie Oyster, Finger dancing prawns, clothes swapping by the pool, unexpected karaoke and hangover donkey riding…goes down as one of the best press trips in my career, made extra special by Dan, Rog, Liz and, of course, Mr Gary Banks. 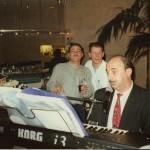 I drank some very strange stuff on that event.